New trim levels have been announced for the Alfa Romeo Giuletta and MiTo which should attract a wide range of buyers. 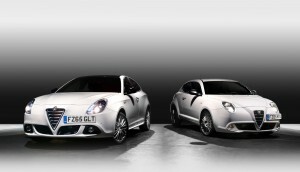 The Giuletta and MiTo will now get a Collezione trim which offers more luxury and equipment. Alfa says that these trims will be the luxury flagship for their ranges. In addition the Alfa Romeo Giuletta will have a Sprint Speciale edition which will include a sports suspension, Brembo brakes and Quadrifoglio seats. Alfa has put together an impressive package for its Collezione trims with standard kit on the MiTo version including alloy wheels and matching bronze effect headlights, tail light surrounds and door mirrors. The Alfa Romeo MiTo Collezione cabin has been trimmed with a special cloth and leather upholstery along with the gear knob and handbrake gaiter. There’s also a flat bottomed steering wheel to enjoy. Equipment for this trim includes satnav and an infotainment system as well as a high spec DAB radio system. Engine choices include the excellent 0.9 litre TwinAir turbo, which produces 105 HP, and there’s also a 1.4 litre turbo petrol unit which produces 140 HP – this version will also have Alfa’s uprated Brembo brakes and twin-clutch transmission as standard. The Alfa Romeo Giuletta Collezione is particularly impressive because it adds to what is the firm’s Exclusive trim and driver’s get a gloss black painted roof, front and rear parking sensors and unique 18 inch alloy wheels. Again the cabin has been reworked and comes with lots of leather trimming, heated seats and a 6.5 inch infotainment and satnav system. Alfa has not forgotten its heritage and the Sprint Speciale offers 17 inch sports alloy wheels, aluminium pedals, sport suspension and Brembo brakes. There’s also dual zone climate control, a silver dashboard trim, cruise control, rear parking sensors and the firm’s ‘visibility pack’. Under the bonnet of this will be the 1.4 litre TB MultiAir which produces 150 HP with a choice of either a six speed manual gearbox or a six speed auto transmission. Some models will also have the 2.0 litre JTDM-2 which produces 150 HP while another version of the engine has a power output of 175 HP. 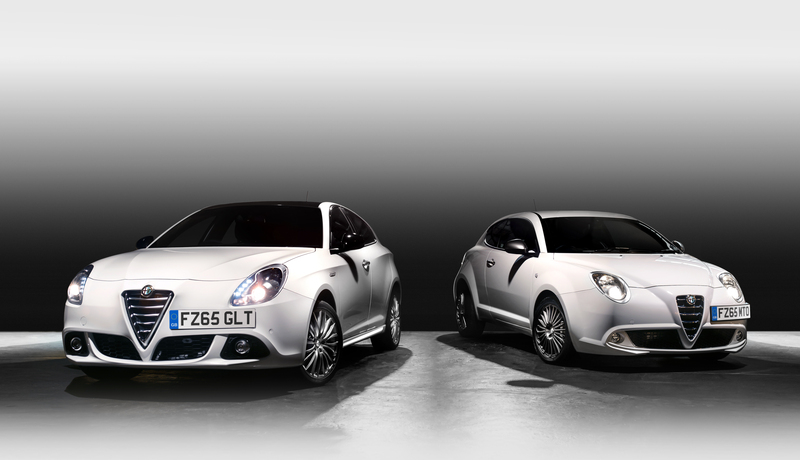 The Alfa Romeo Giuletta Collezione starts at £24,800 while the MiTo Collezione start at 17,660 OTR. For those interested in the Sprint Speciale, prices start at £23,300. This entry was posted in Car Leasing, Cars, Family Car, Popular Cars and tagged Alfa Romeo Giuletta by Steve Lumley. Bookmark the permalink.